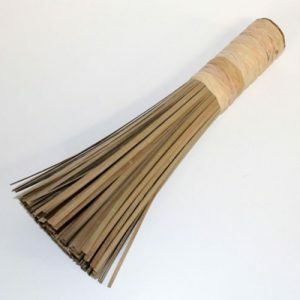 Commercial grade durable bamboo brush. Great for cleaning woks, pots, and pans. Perfect to clean hot spots without melting and 12″ length of the brush keep hands from hot water. It has an Amazon rating of 4.3 out of 5.0. This bamboo brush will be perfect for cleaning your wok. You can find this 12 brush here on Amazon.